1. Making use of your own urine. There are some people who actually catch their urine and save it to use in a variety of ways. They use it as a skin care product instead of purchasing moisturizers and cleansers. They use it in the garden instead of using pesticides and other products to keep pests away. And some people even drink it instead of buying hangover cures and alternative medicines! 2. Saving and using your fingernail clippings. Why would you buy pot scrubbers when you could stick your fingernails inside of an old used pair of pantyhose for free instead? They can also be used in the compost pile for your garden. 3. Choosing to be homeless. Some people decide that instead of spending money on rent or a mortgage they will choose to be homeless. Some live in their cars, traveling around for a fraction of the price of paying rent. Couchsurfing and crashing in abandoned buildings are other ways people choose to be homeless to avoid rent. 4. DIY medicine. There are a lot of people who find their own ways to deal with their medical issues instead of paying to go to a doctor. It’s one thing to make homemade remedies to naturally cure your basic ailments (for example, ginger root cures nausea). It’s another thing to do DIY dentistry or DIY surgery, in these cases you do need to find someone like Dr Poria Edalat who can help you out with your dentistry issues. 5. Recycling your pets’ fur. Speaking of pets, don’t let all that fur they shed go to waste. Use it! It can be used to keep deer away from your garden. It can be used as stuffing for homemade pillows and small toys. It can even be turned into yarn and made into clothing. 6. Eating what most other people won’t. 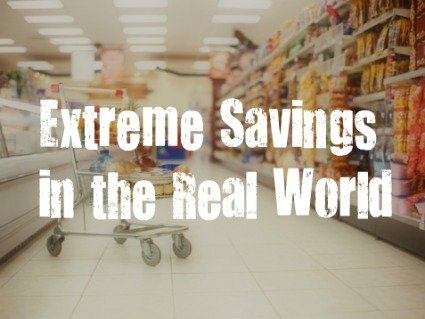 If you have a tough stomach then you can save money on your grocery bills by doing extreme things like eating roadkill, scavenging for bugs in the garden and turning them into meals or going dumpster diving to get your food. 7. Risky driving. If you want to save money on gas then you can use a number of different hypermiling techniques that slightly increase the gas mileage of your car. However, some of these are risky. For example, some people choose to turn the car off when it’s still moving and let natural momentum drive the car to save money on gas. If you’re not careful, that can end in an accident. 8. Refusing to use basic hygiene products. Imagine all of the money that you could save if you never again bought soap, razors, toothpaste, deodorant and shampoo. It’s surprisingly easy to start cutting back on these things and then eventually to decide that you don’t need them. But is it too extreme? 9. Stealing basic items. Some people do continue to use those basic products but won’t pay for them. They’ll steal them. A common example is to steal toilet paper from public restrooms for use at home. If you’ve ever wondered why some public toilets only dispense one or two squares of toilet paper at a time; this is the reason why! People may also steal condiments from café counters and soap from public soap dispensers. Technically doing so isn’t illegal and it does save money but isn’t it crossing a line? 10. Recycling absolutely everything. Some people choose not to throw anything away. They find a new life for everything that would normally go into the trash. This is great in theory. It’s good for the earth. Plus it saves you a lot of money if you don’t have to buy new items when you can use old ones instead. But it can mean that your home fills up with loads and loads of extra stuff just waiting to be used. How much should I save in an Emergency Fund?